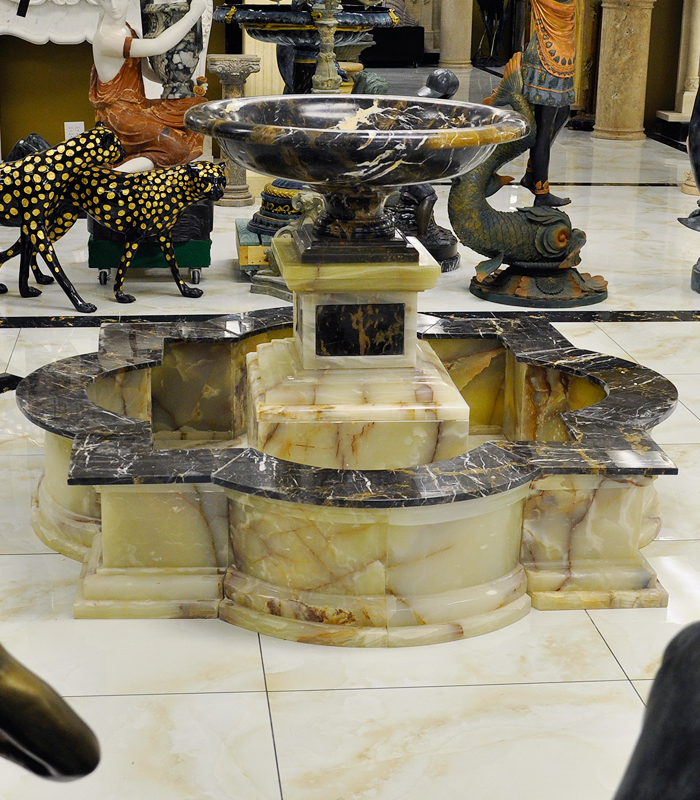 This striking over sized Antique Gold Granite Garden Fountain is an expression of luxurious taste. 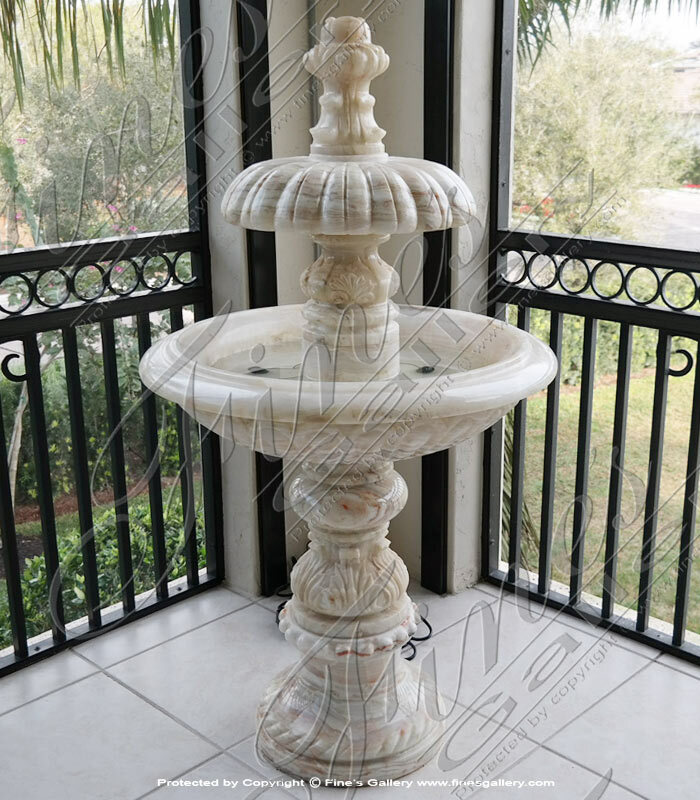 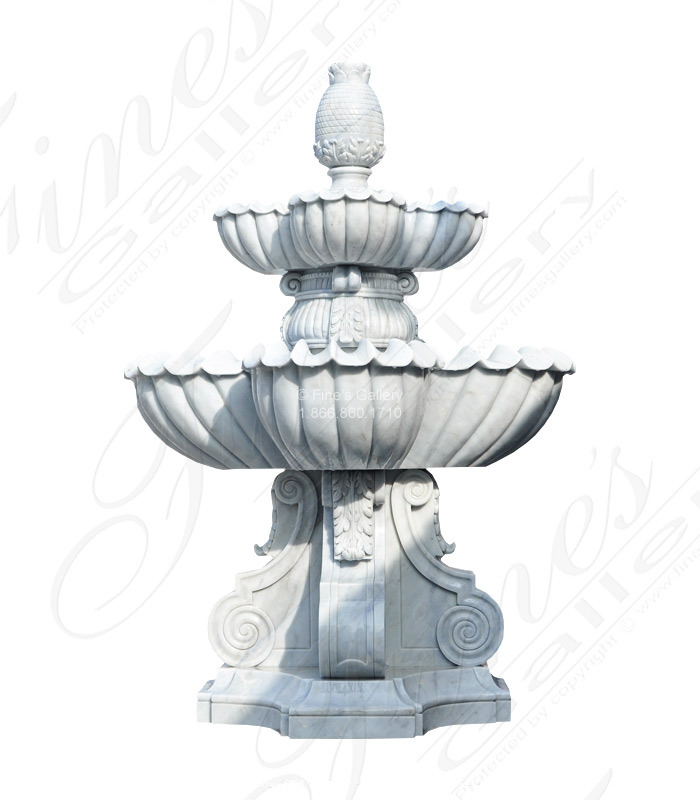 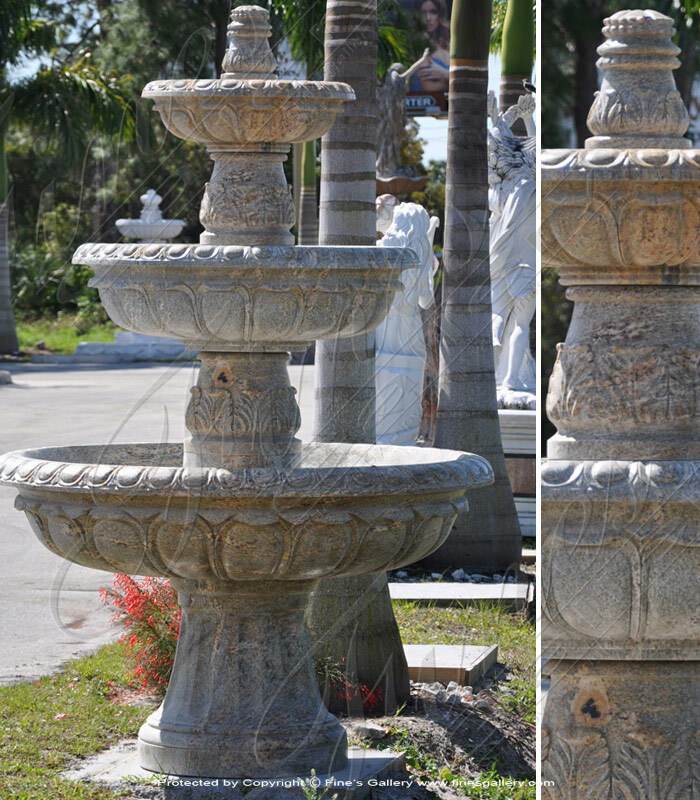 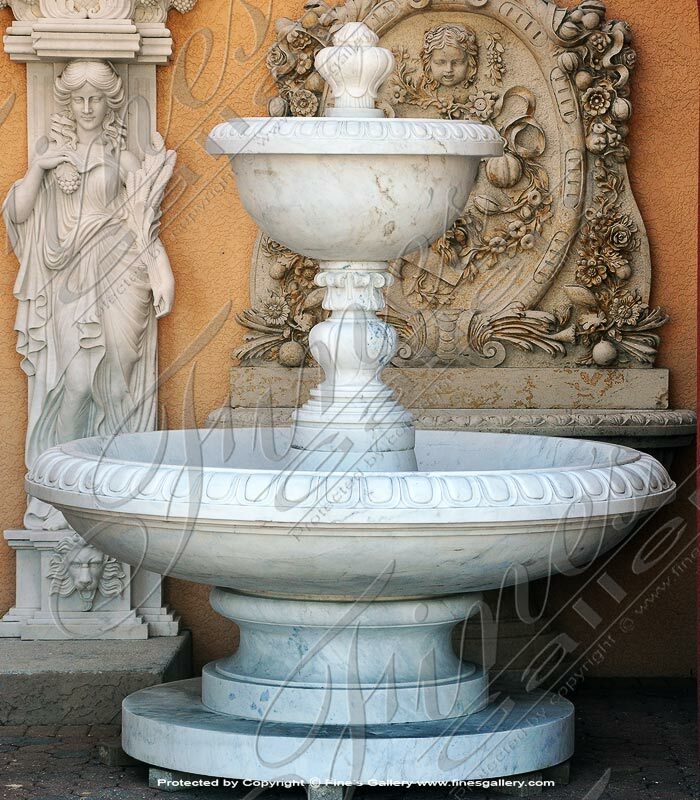 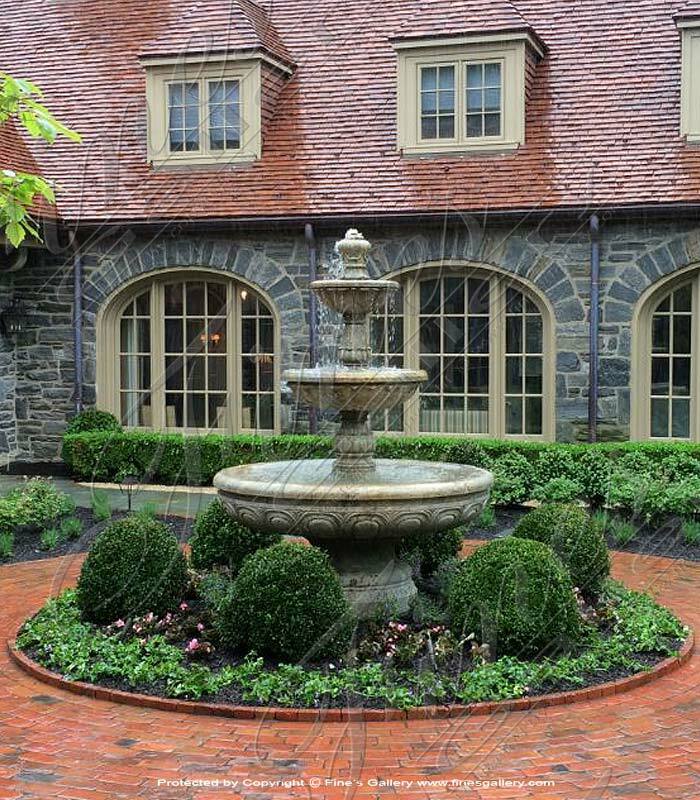 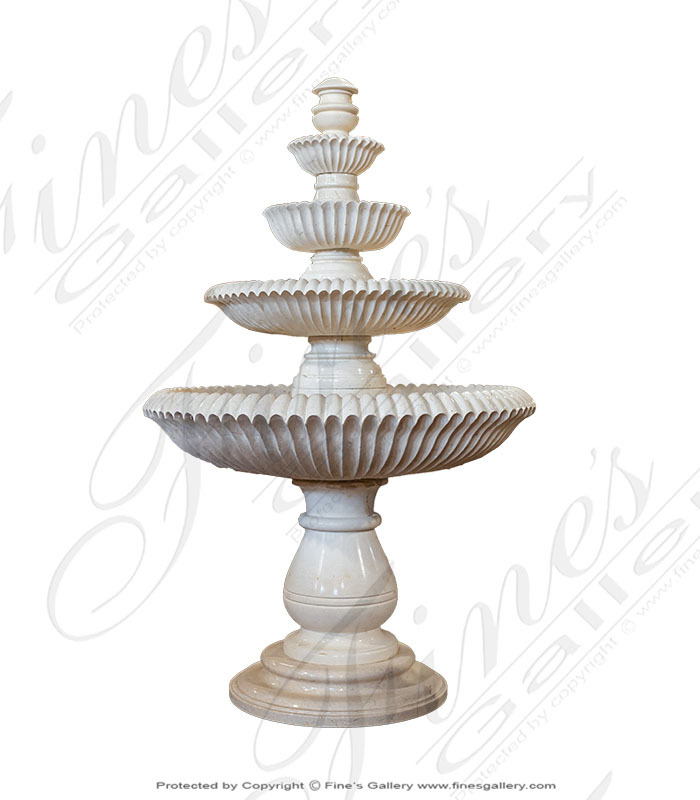 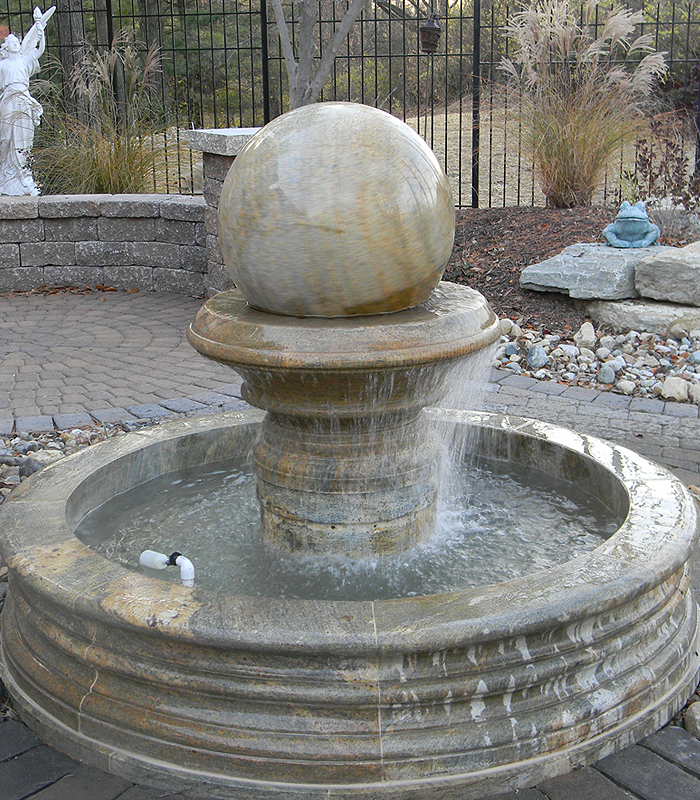 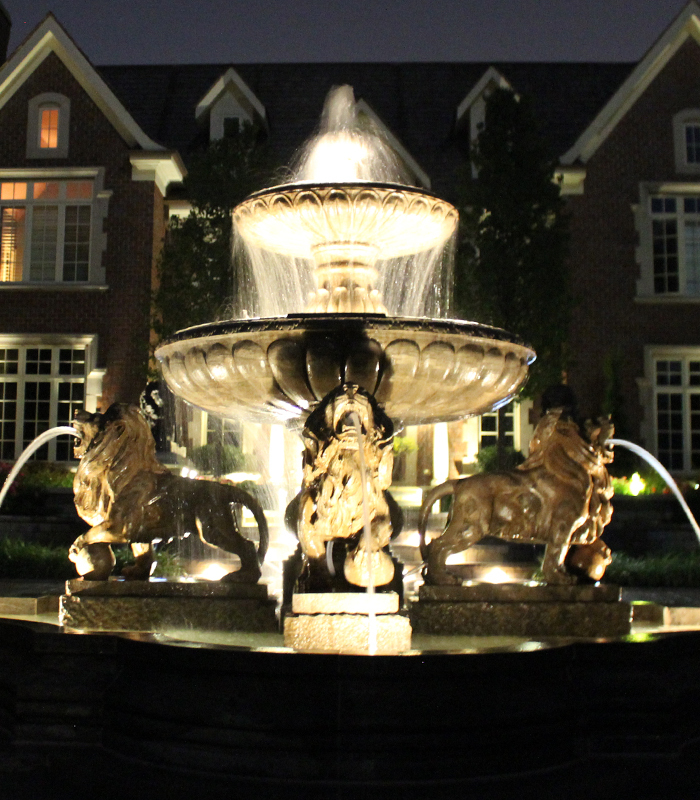 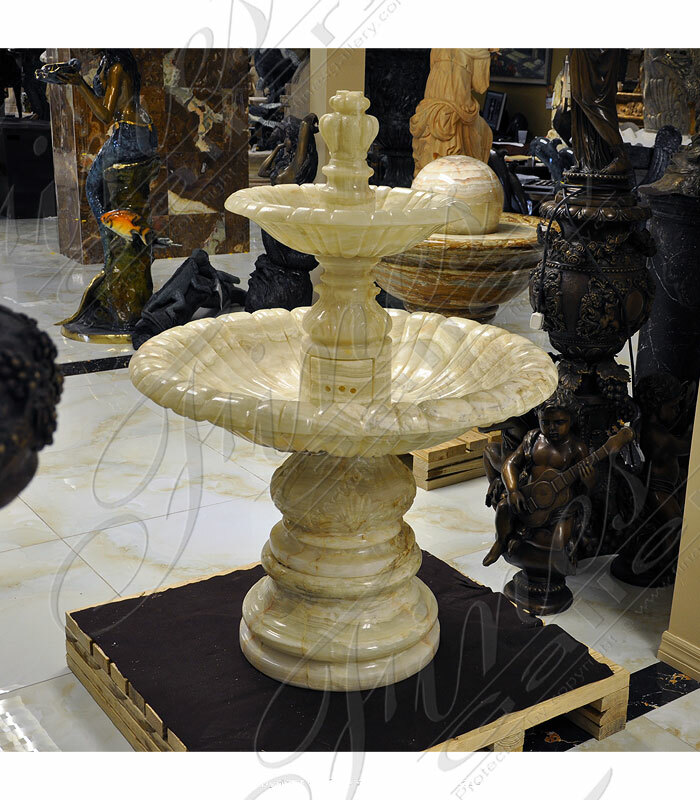 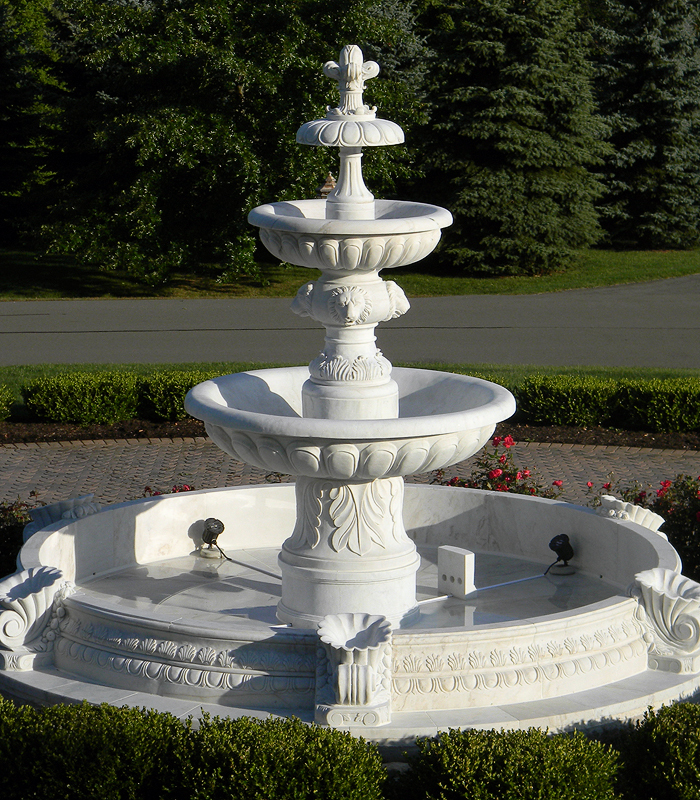 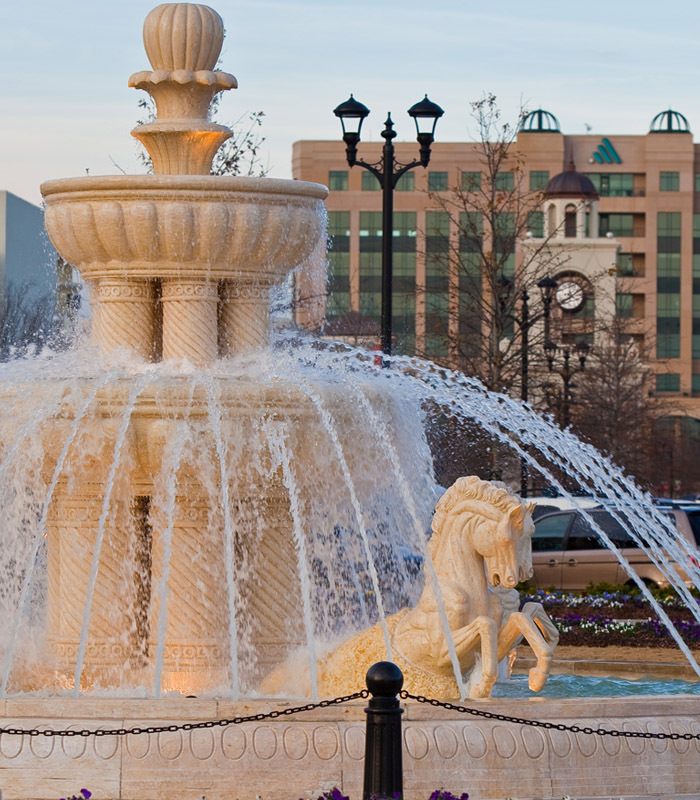 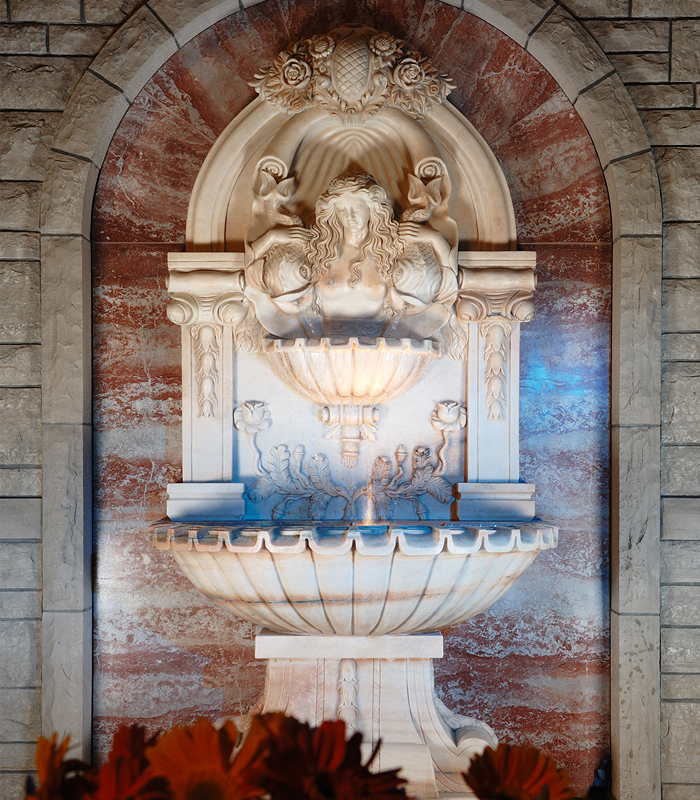 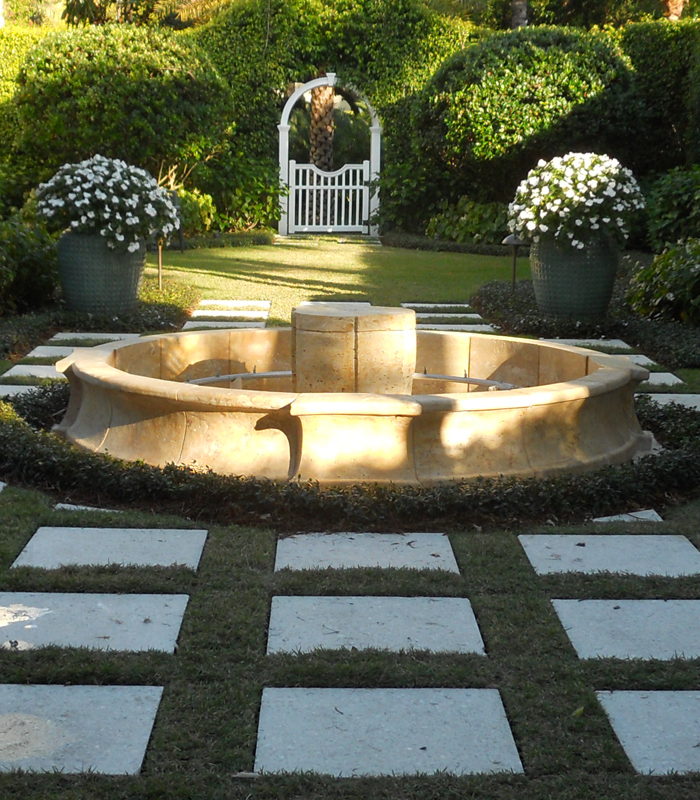 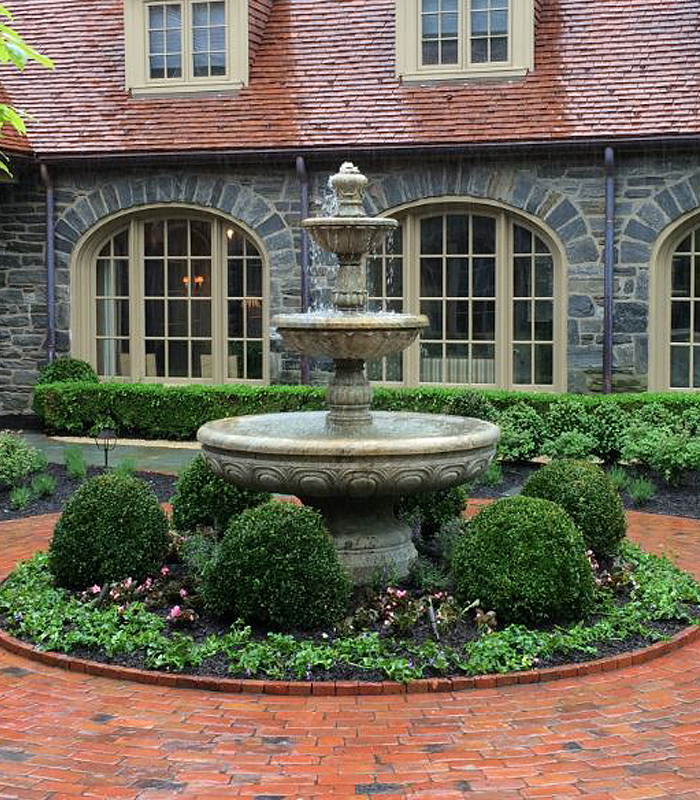 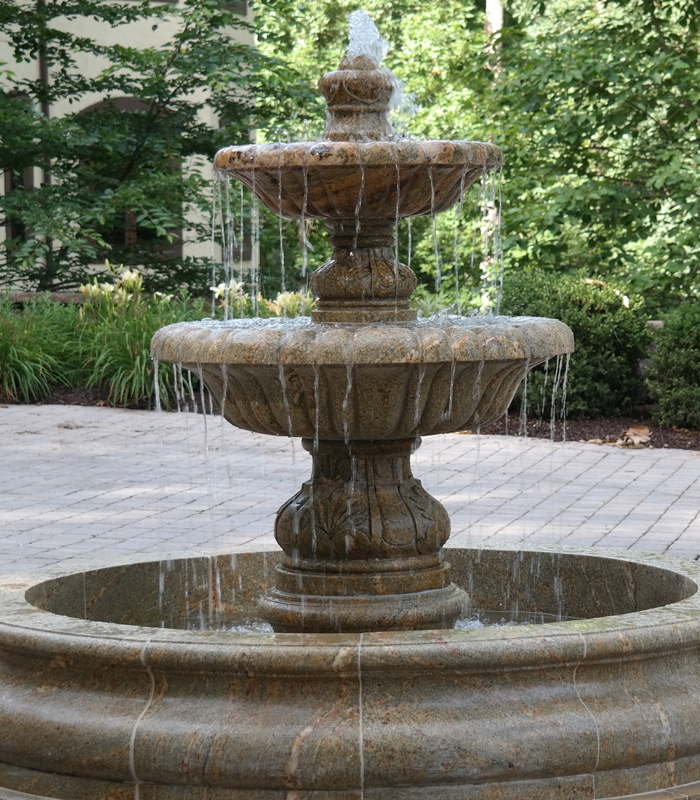 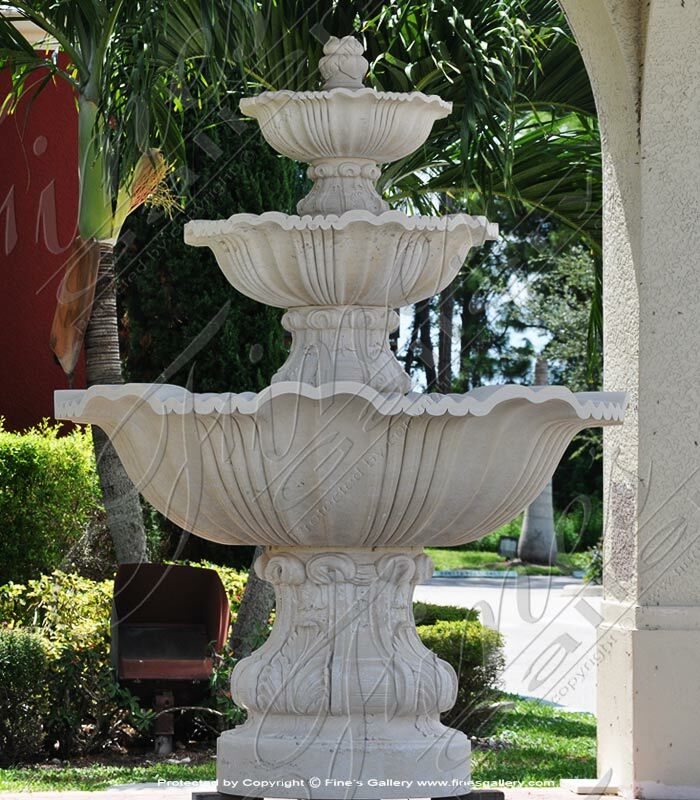 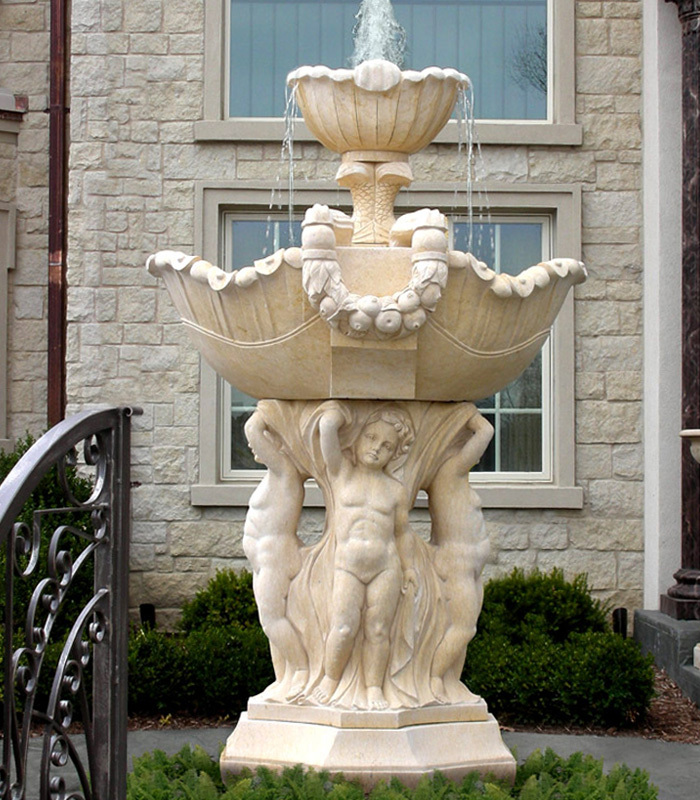 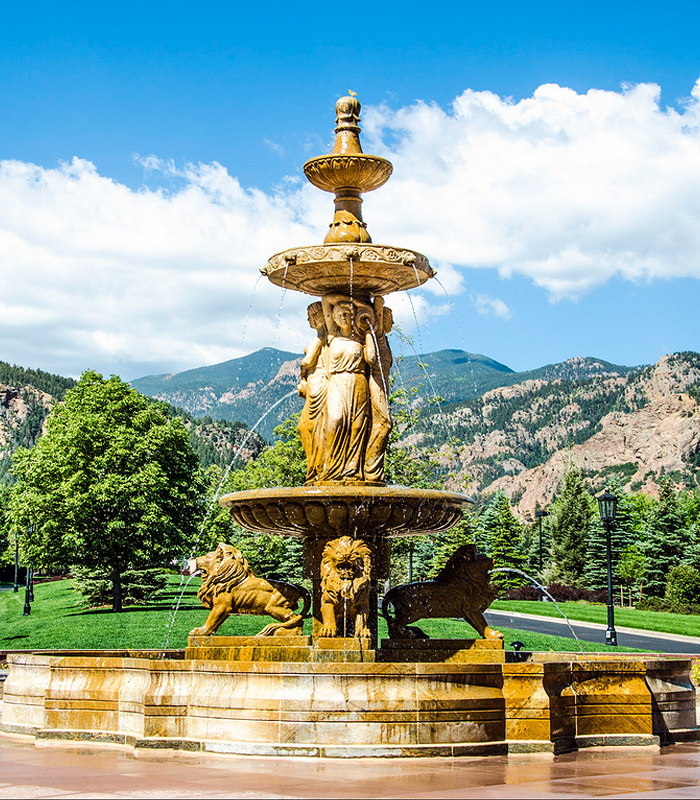 Our natural stone fountain features add unparalleled beauty to any high end home application. 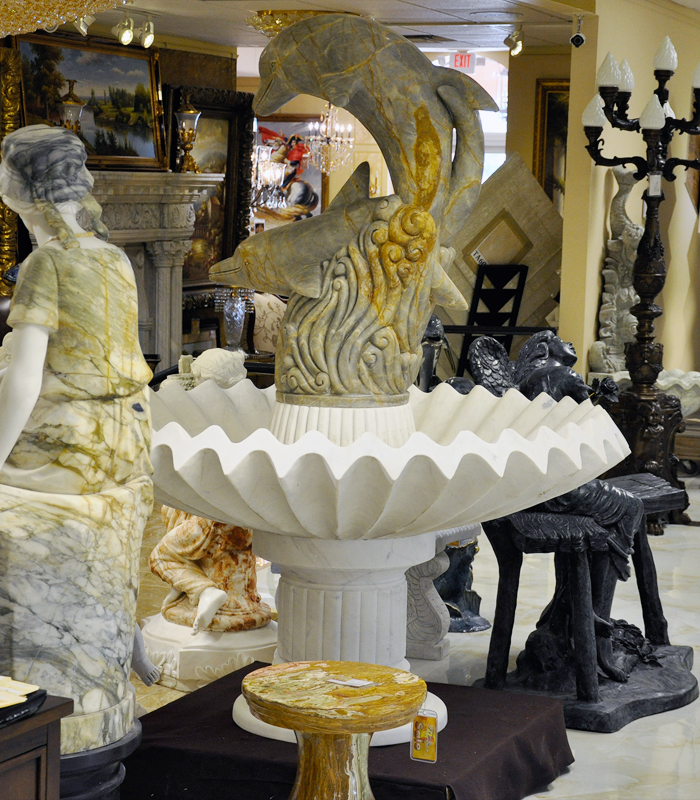 Featuring fluer des li finial and majestic lion heads. 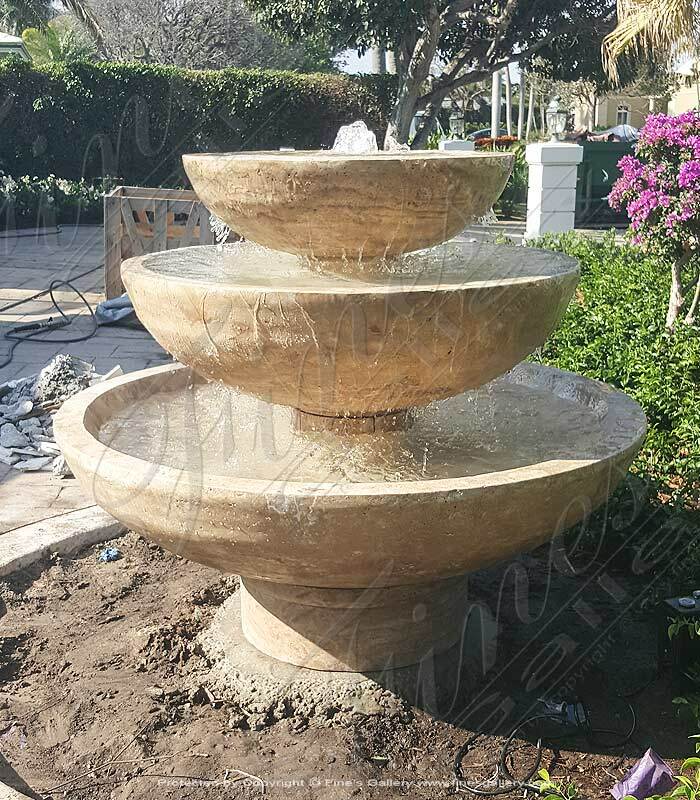 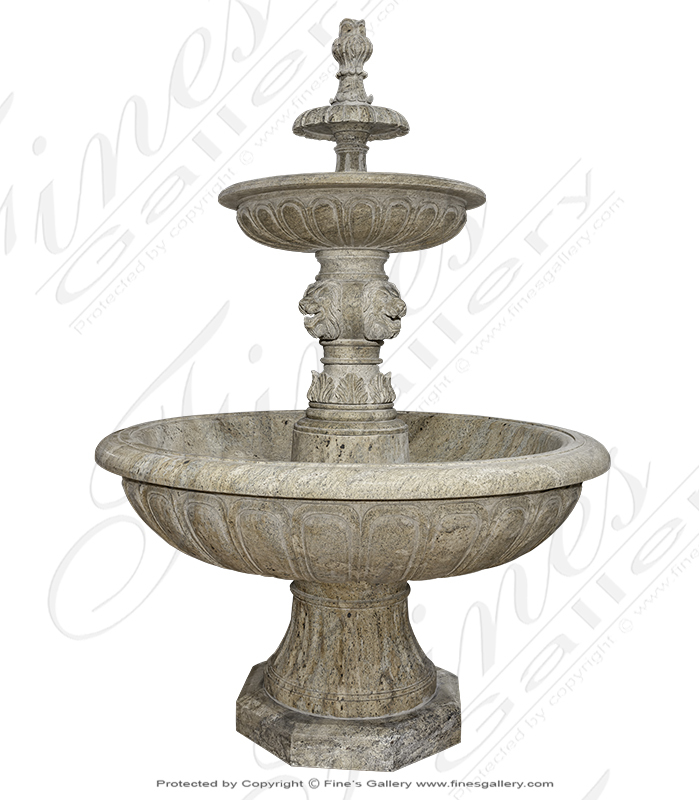 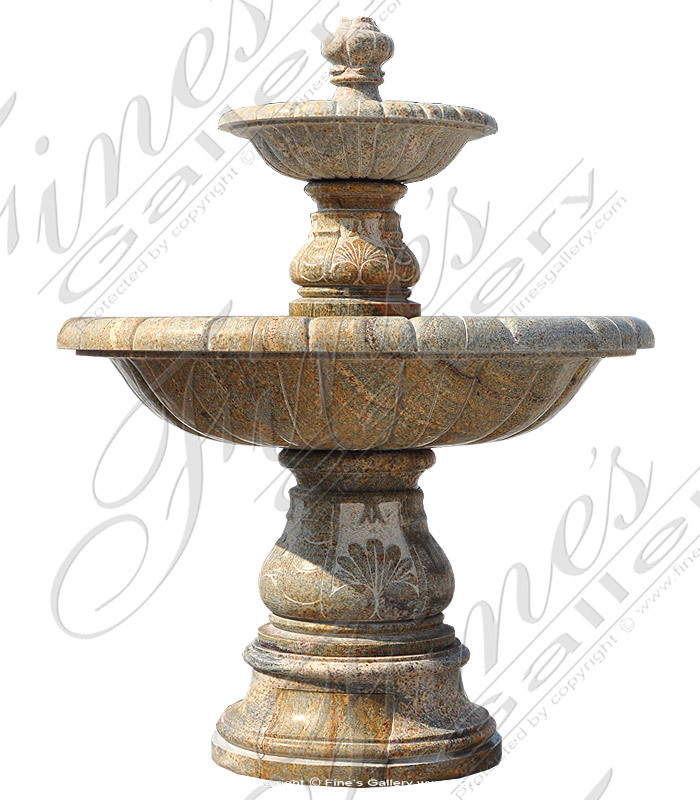 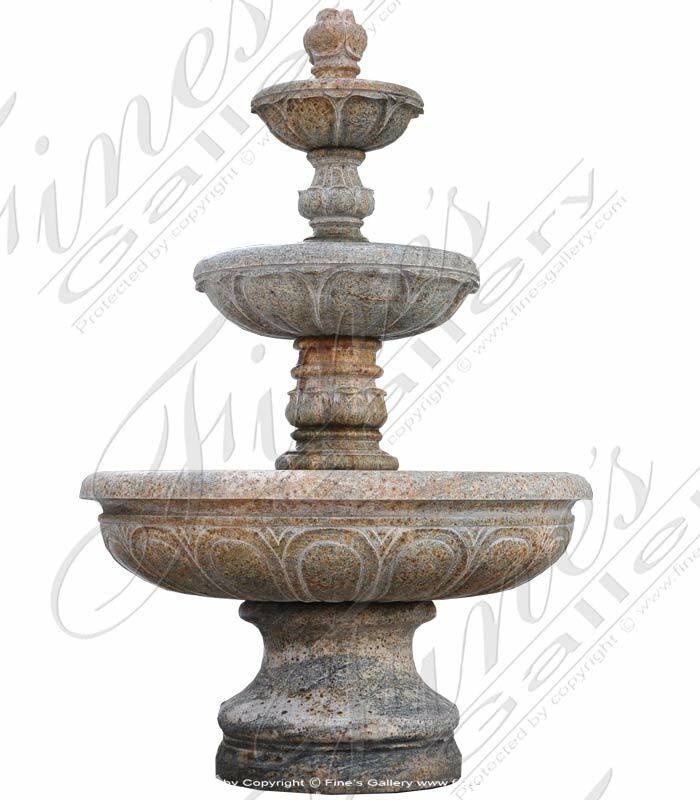 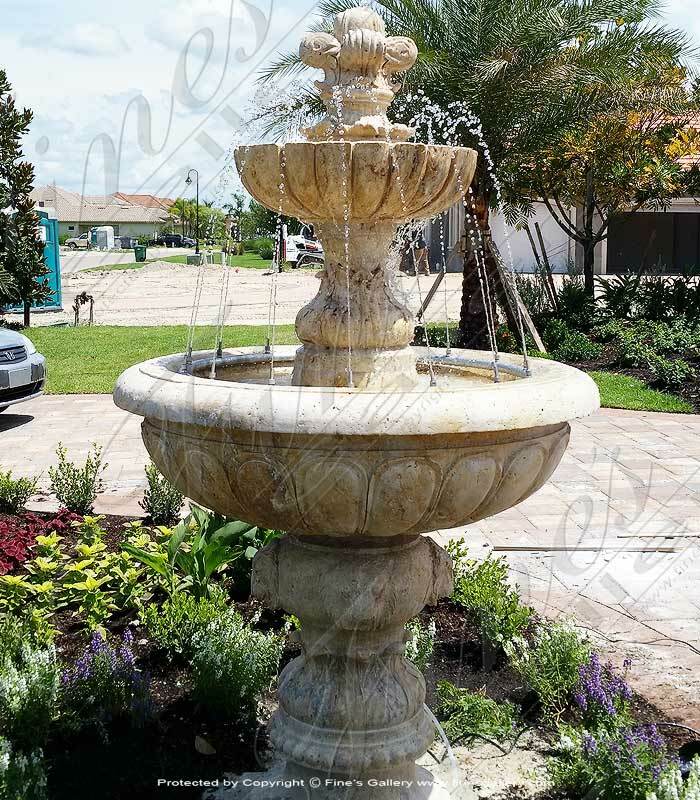 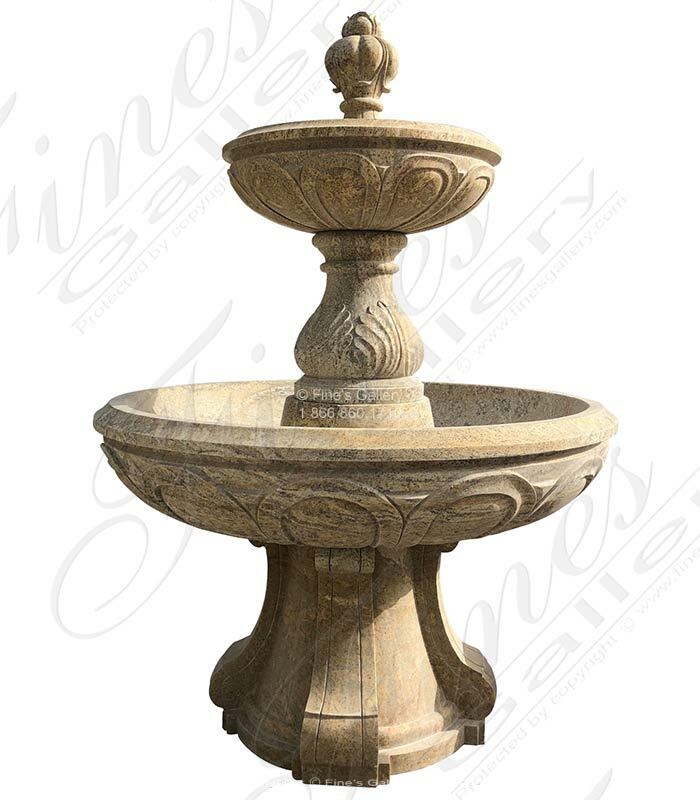 Tuscan Granite Garden Fountain featuring natural earth toned granite and three tiered fountain self contained design concept. 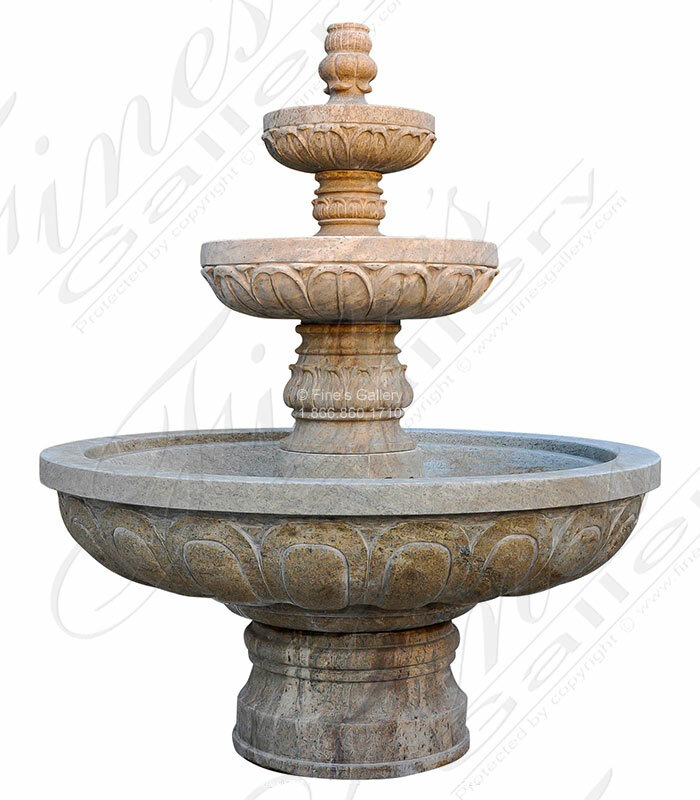 Designed to fit a garden space or landscape island. 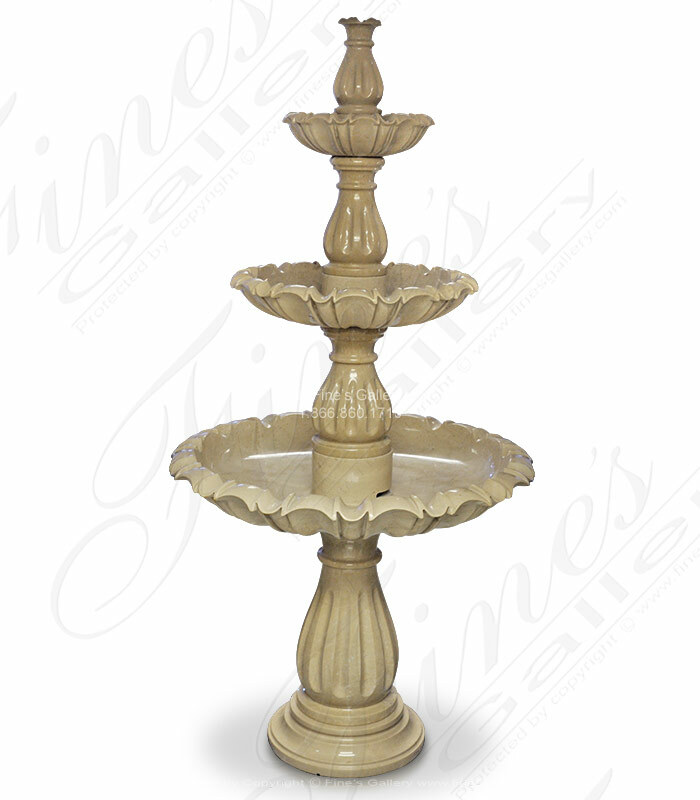 The natural colors blend well with almost any application.